St Patrick, the Devil and Brian Ború | Where's my backpack? Last year I spent Paddy’s Day in Wicklow roaming around Travailahawk Beach where St. Patrick and his Christian missionaries were driven away by a stone-hurling mob. That was probably one of the low points of St Patrick’s mission to convert the Irish. This year, by way of contrast, I went looking for the site of one of the high points on his journey; where legends say he banished the Devil and converted the King of Munster to Christianity. That must have been a busy day. 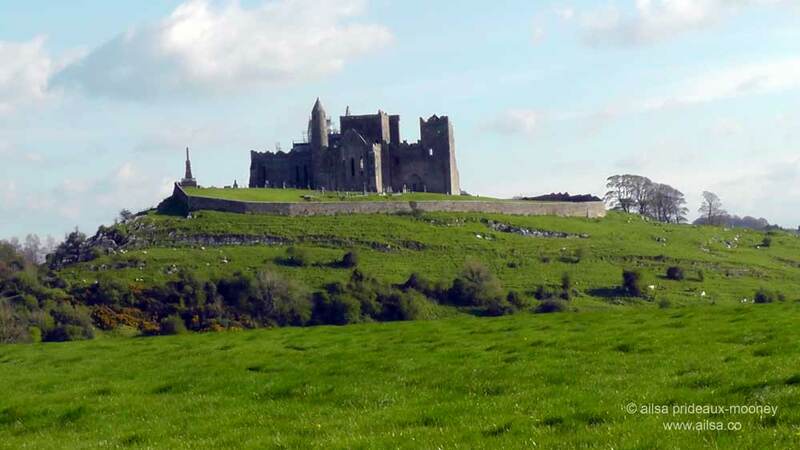 The place, once called St. Patrick’s Rock, is now more commonly known as The Rock of Cashel in Tipperary. There is nothing that can quite prepare you for the drama of rounding a bend in the road and spotting The Rock of Cashel looming in all its dark majesty up ahead. It definitely makes my list of places that will cause you to take a sharp intake of breath. 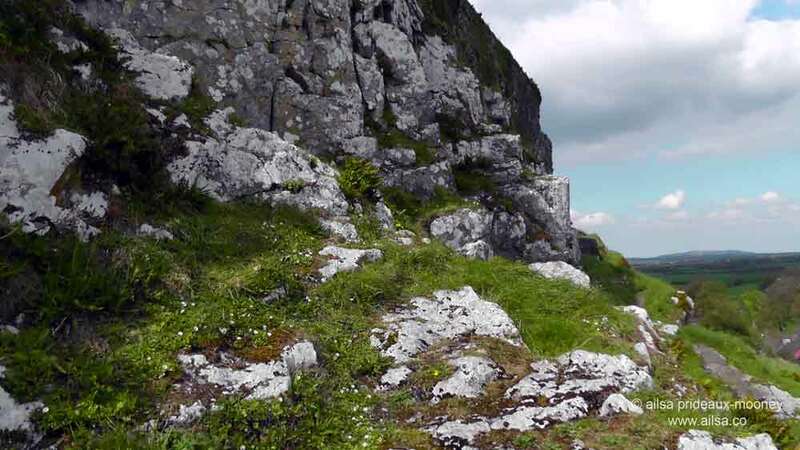 Jutting 200 feet out of the surrounding plains and circled with thick bands of limestone outcrops, it would be a place of wonder even without the glowering 12th and 13th century buildings at the summit. Local legend tells of a face-off between St. Patrick and the Devil himself. The encounter took place in a cave where Satan was hiding out. Patrick defeated him and drove him from the cave. 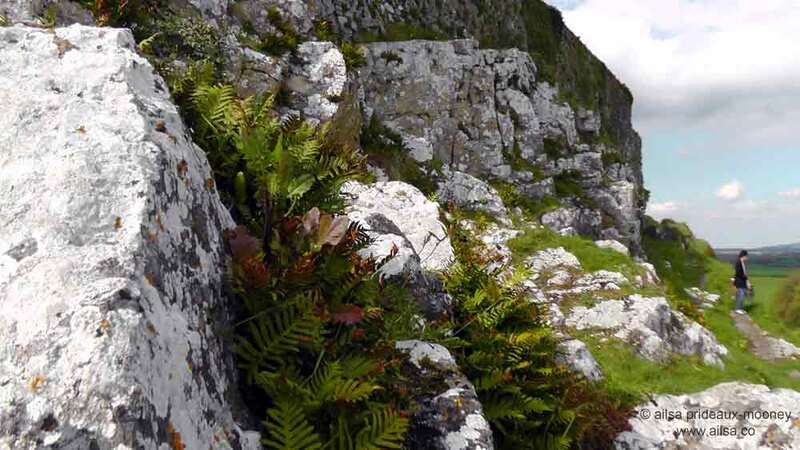 Satan, in his anger, took a bite out of a mountain 20 miles to the north of Cashel – a mountain that is today still known as The Devil’s Bit. Unfortunately for old St. Nick, however, he broke his teeth when he took that chomp out of the mountain. 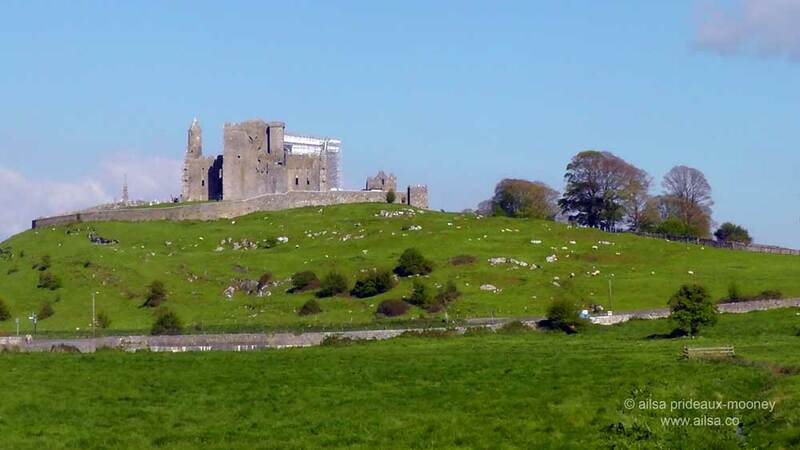 The pain caused him to drop the mouthful of mountain and it landed in the middle of the plains creating St. Patrick’s Rock aka the Rock of Cashel. 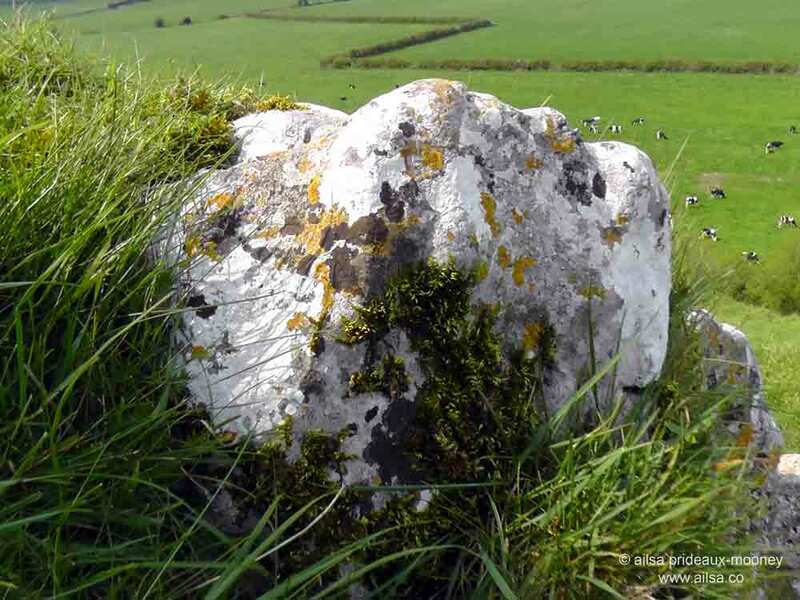 In the 4th century, the Eóghanachta clan, originally from Wales, chose the Rock as their base, and they went on to conquer the region and become the kings of Munster. Around 450AD, St. Patrick is supposed to have used this spot to convert the pagan Munster king du jour, Aengus MacMutfraich, to Christianity. 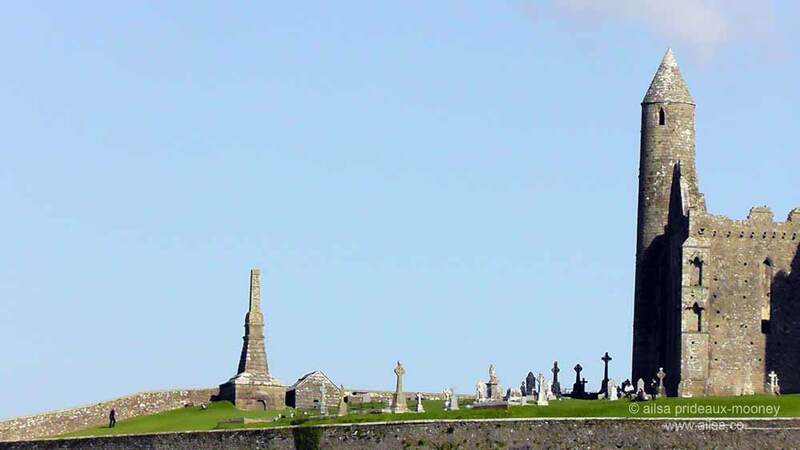 Cashel remained the seat of the Kings of Munster for the next six centuries, rivalling Tara for power and becoming known as Cashel of the Kings. It was here that the legendary Brian Ború, the last king of Ireland, was crowned king. After my magical encounter with the ancient ring fort of his youth in Killaloe, I was enamoured with the prospect of finding a trace of him here in Cashel, but alas, there is nothing to be seen of him, or St. Patrick for that matter. 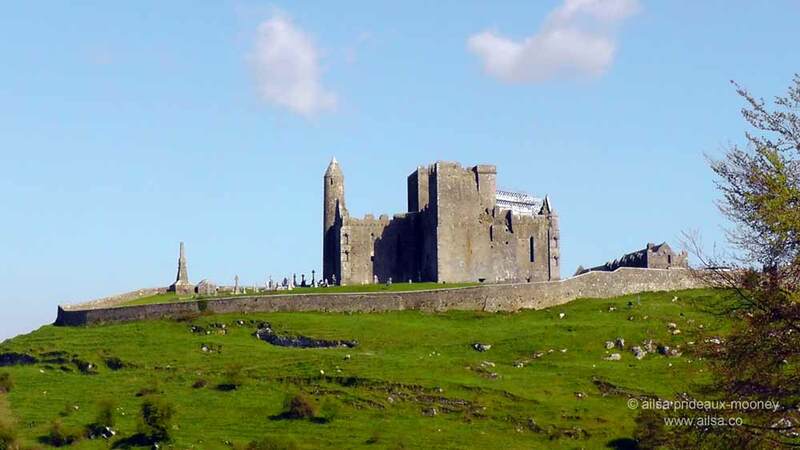 In 1101, King Muirchertach O Briain donated the Rock of Cashel to the Church, and it is the buildings from this era that survive atop the rock today, the oldest, a perfectly preserved round tower built around 1100AD. Tours run daily year round (closed Dec 24-26) and last about 45 minutes for a nominal fee (€6 adults, €4/€2 concessions) and you will learn some fascinating stuff, but you won’t catch a trace of Brian Ború here. For that, you’d be better off following one of the trails around the area. I took a wander around the base of the rock, through sheep strewn fields and up and over great craggy rocks splotched with bright yellow lichens. The views across the surrounding plains were spectacular and somewhere along the way, I fancied I could hear a whisper of my legendary last king in the gusts of wind that made the grasses dance. Thank you for that bit of history. I stayed at a B&B at the base of Cashell Rock and our host was Patrick. Coincidence? I think not. 🙂 My heart resides in Ireland. The history of ireland and its kings and ultimately saint Patrick leading into british rule is fascinating. Going to ireland and seeing where much of it took place is a privilege. I have many musings on ireland in my blog if you care to peruse. Your photographs are lovely and the stories you tell so interesting. Thank you for sharing. It is worth the B&B just for the breakfast for sure! It’s definitely the thing to do in ireland not only for the food but also for the interaction with the people running the house. They are generally warm and helpful and funny people that enhance the trip for sure! Thanks for visiting and following my blog. Excited to have you and your backpack! What a great story! It would be fun to know how these legends started and developed through the centuries! We’ll be there this August – now I’m really looking forward to it! I always enjoy your essays so much. They are such friendly, fun, vicarious adventures in travel and learning! St. Patricks Day is five days passed, and I’m wondering what the chances are that I would read about Brian Boru twice in the same ‘not St. Patrick’s Day’ today?? Very interesting post, can’t wait to visit Ireland. Thank you. Pingback: Travel theme: Youngsters | Where's my backpack?